Harmon Shops looking southeast, 1914. Here are some photos of the “Harmon Shops” in 1907, when they were brand new, and in 1914, when they became the terminus of the innovative “electric system” from New York City—one of the main selling points for Clifford Harmon’s real estate development. Harmon Shops looking south, 1907. The photos come from articles in two industry publications—the Street Railway Journal and the Electric Railway Journal—which describe the facility in great detail and include maps, schematic drawings, and additional photos. Click the links below to read them. You can also click the photos to enlarge them. 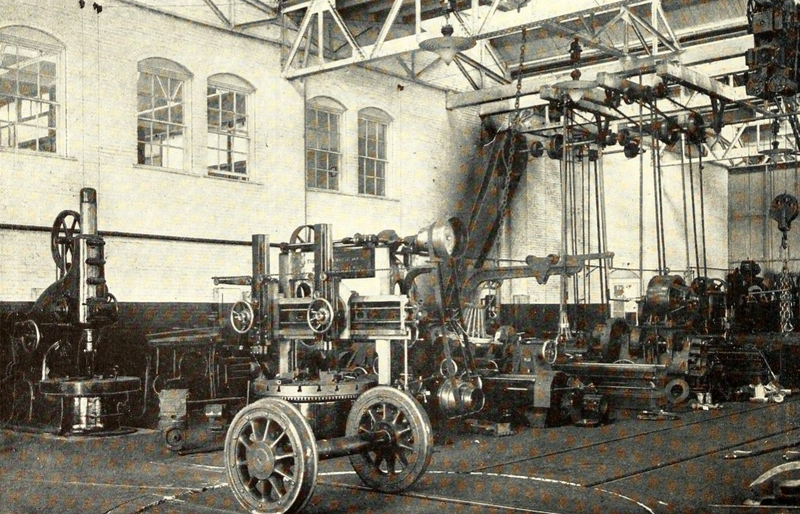 Interior view of the machine shop, 1914. “The Electrical Maintenance Plants of the New York Central & Hudson River Railroad Company,” Street Railway Journal, vol. XXIX, June 8, 1907. 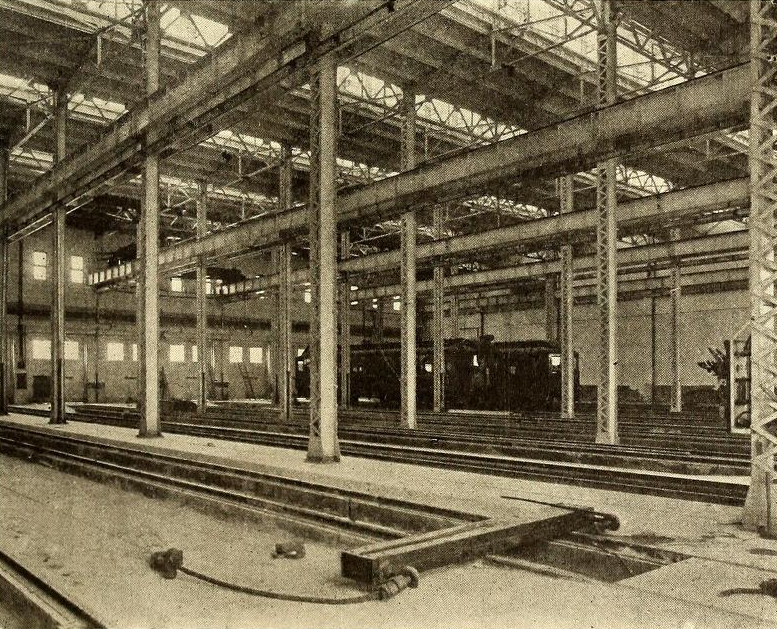 “Harmon Shops of the New York Central Railroad,” Electric Railway Journal, vol. XLIII, June 6, 1914. 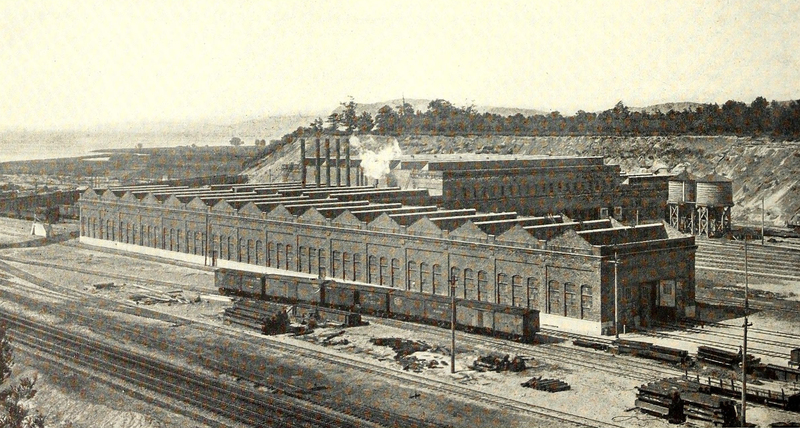 Harmon Shops looking north, with the inspection shed in the foreground, 1907. Shortly after WW2 ended, about 1947, my father, Arthur Newbery, Sr. ran a restaurant in an old Railroad dining car. My brother, Arthur Newbery, Jr. (now deceased) and I were in our teens and worked there. I handled the counter, my brother washed dishes and my Father did all the cooking. The car-restaurant was on Railroad property just outside the back door of the machine shop and we only fed workers. They placed their orders at the counter and then we took them back into the seating area when the food was ready or they picked them up themselves. The dining area had long benches on both sides and two small tables in the back. My Mother, Elvera, (Vera) worked there as well, but I don’t remember how often as she usually remained home when my brother and I worked during weekends and vacations from school. She was probably home with my younger brother, Ronnie, at that time. My parents never discussed finances with us so I don’t know if they rented the “Car” or if we were contracted to the Railroad. All I remember is that was where the engines changed from coal-fired steam to electricity if they were going on into New York City. (And, of course, back to steam when they returned to make the trip back up north.) Everything, including the dining car and the workers, was covered with black soot from the coal and the ground outside was black with soot. Whenever we took the short ride to the Bronx to visit my Fasano grandparents, I loved sitting in the window seat and watching the Hudson River traffic as we neared the City. That was the only view of the Statue of Liberty I can recall. I also worked there from time to time. I have photos of myself my brother Art took with my apron on. I have many great memories of the Harmon Canteen. I have some photos of the interior and the exterior of the diner my brother Art took, that I am going to donate to the Croton-On-Hudson historical society. Also I have some drawings by one of the workers, done on the back of blank menus that picture my Dad and Brother. Such a shame the building at Harmon is being demolished instead of restored.